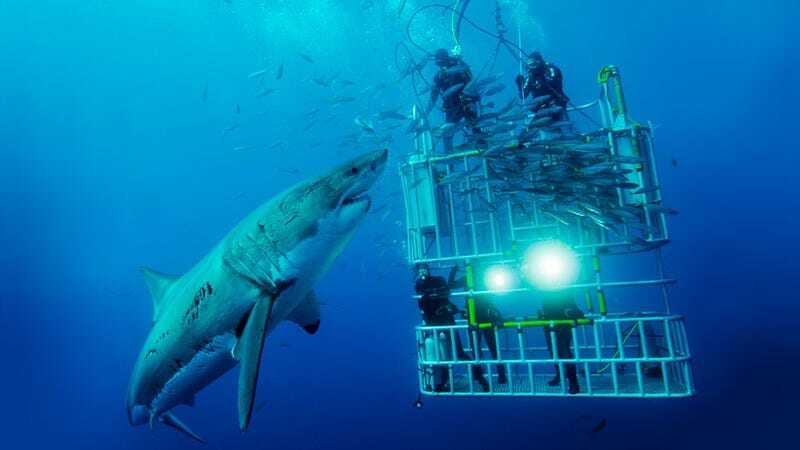 I've seen white sharks a million times on TV, but I've never appreciated their sheer size until this photo, part of the National Geographic's Photo Contest 2011. It's a beautiful photo, as many other entries. Click image to expand the original image.